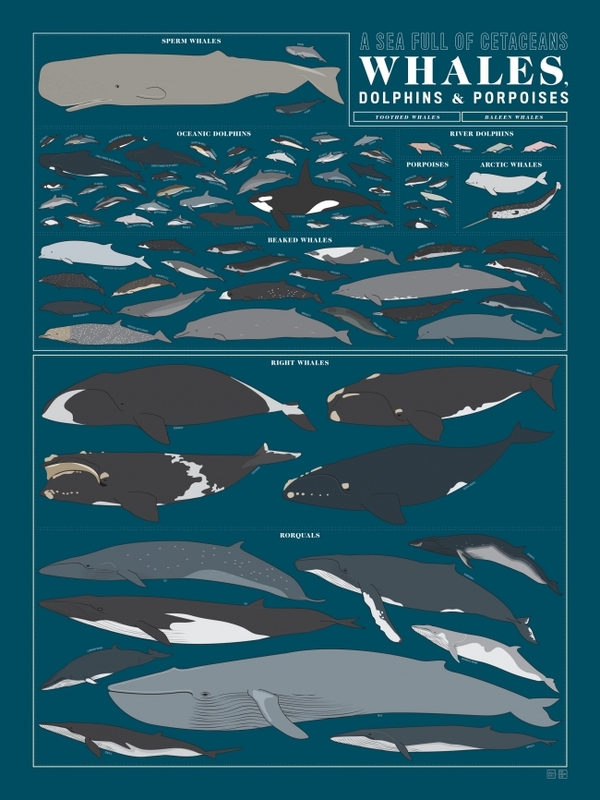 Pop Chart Lab has created a graphic visualization of types of whales, dolphins and porpoises. Dive deep into a diagram of dolphins, porpoises, and whales—drawn to scale! This watery wall art catalogues nearly 90 majestic marine mammals in all, assigning each into “pods” such as Beaked Whales, Oceanic Dolphins, and Rorquals. From the famed killer whale to the nigh-mythical narwhal, this study in cetaceans has the whalewithal to cause any nature lover to flip-per out.